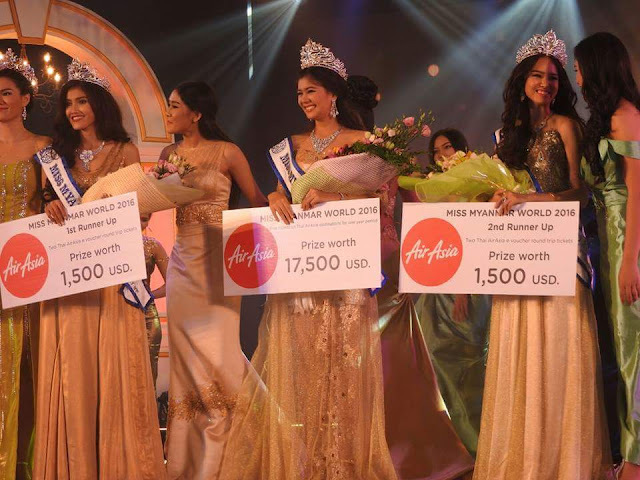 YANGON, Myanmar - Myat Thiri Lwin (17) was crowned Miss Myanmar World 2016 at the Gandamar Grand Ballroom in Yangon on June 4. 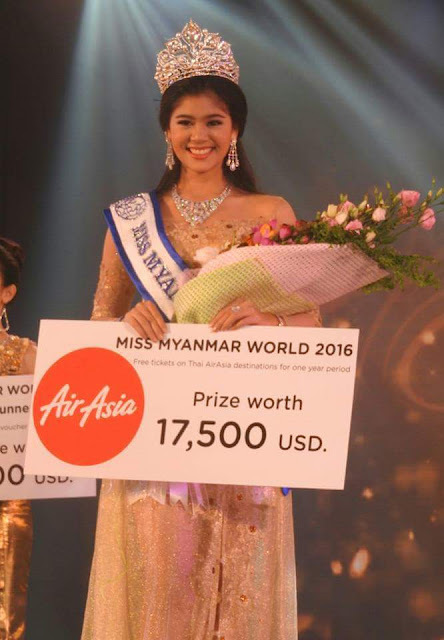 She will represent Myanmar in Miss World 2016. M Ja Seng and La Yate Pyar finished in second and third place, respectively.